University of South Carolina journalism instructor Scott Farrand first visited Malawi in 2013 with 11 students on a service learning trip to help MOH develop stories for the ministry’s web site and newsletter. The people and the culture of the country inspired the visual communications instructor, and he knew he wanted to do more for them when he returned. This past June, Farrand returned on similar service learning trip, and he and his students brought with them something that MOH children rarely get a chance to enjoy — toys. The USC team organized a drive to collect Beanie Babies, a stuffed animal that emerged as a major fad in the late 1990s. He figured the toys — which were once collected as a hobby as well as a financial investment — were sitting in boxes in many Americans’ attics. The plan was to collect 100 Beanie Babies for the children of Matapila, a rural village where MOH works and where the class would spend a night of their trip. Candy would be distributed with the toys and people would also be asked to make a small monetary contribution which would be used to help buy essential items the children need such as blankets and medicine. At this point, the small service project evolved into a larger mission to help children in Malawi. Instead of collecting Beanie Babies, students had donors pick the animal of their choice, write their name on a piece of paper attached to the animal and include a monetary donation. In six weeks, the class had 860 beanie babies and had raised almost $2,000. The funds were used to buy blankets for children and infant formula to feed babies who were orphaned. 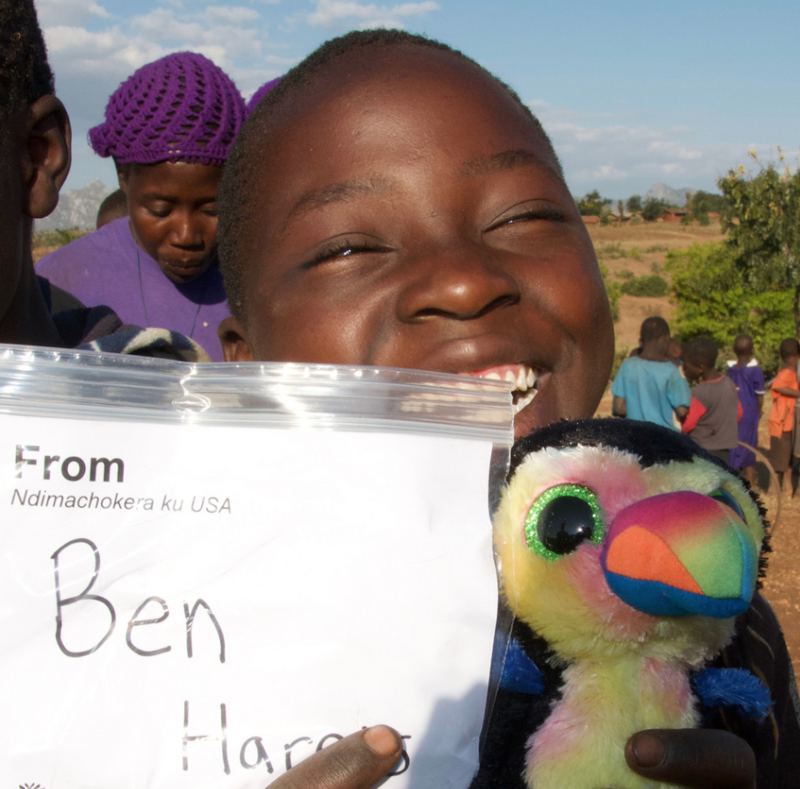 Once at the village, the students distributed the Beanie Babies to the eager children and took pictures of the recipients holding up the name of the donor and the toy.